Stoneleigh Park is the location for a wide variety of popular events attracting hundreds of thousands of visitors to the Park each year. Click here to visit the National Agricultural and Exhibition Centre (NAEC) for information on all upcoming events. Whatever your event, we have the perfect space for you! Whether you’re looking for an off-site meeting, team building day, celebration, conference, or exhibition we have the space, the enthusiasm and the expertise. Our dedicated event team will work with you to create your perfect event, giving you the same exceptional level of service and commitment regardless of size. Delivering the perfect event for you and your customers is what we do. To help your event run smoothly, we offer a fully integrated events service to suit you – from planning and marketing to operations, catering, hospitality, and technical support. If you are interested in holding an event at Stoneleigh Park, please email sales@stoneleighevents.com or call the NAEC on 02476 696 969. Light years away from the many conferencing or function venues out there, Stoneleigh Park offers you a beautiful countryside venue in the heart of England with free car parking for over 30,000 cars and superb road, rail and air access. Located in the heart of England, just off the M40 and within 30 minutes drive of Birmingham, Coventry, Warwick, Leamington Spa and Stratford-upon-Avon Stoneleigh Park is one of the most convenient and flexible indoor and outdoor venues in the UK. With the unique accolade of running some very famous events, we have the know-how and track record to ensure your event runs like clockwork from start to finish. We offer a full-service solution covering planning, creative and delivery, or we can simply arrange for you to hire a space over which you’ll have full control. 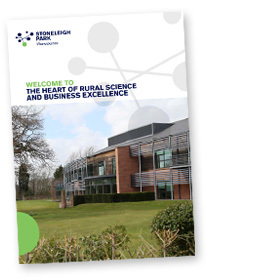 If you are interested in booking your conference, exhibition, trade show, fayre, corporate days or team building day at Stoneleigh Park then why not join us on one of our Open Days which are hosted regularly throughout the year. The day includes a tour of our extensive indoor and outdoor facilities plus you will have an opportunity to meet our friendly sales executives and senior management team. Lunch is included so you can sample the cuisine produced by our in-house catering team and be impressed by the Stoneleigh Park fine dining experience. Located at the heart of Stoneleigh Park, we have a competitively priced 4 –star guesthouse, as well as an on-site restaurant and full catering service serving high quality food. Our dedicated events team have the knowledge and passion to bring your event to life. Whether you’re looking to plan an exhibition for 2000, a conference for 500 delegates, or a corporate team building day for 10, our friendly and professional events team will work with you every step of the way. In the past year we have worked on a huge variety of events from family fun days and gala dinners to product launches and trade events. One beautiful Warwickshire location. Endless possibilities. Click here to visit the National Agricultural and Exhibition Centre (NAEC) for information on all upcoming events.